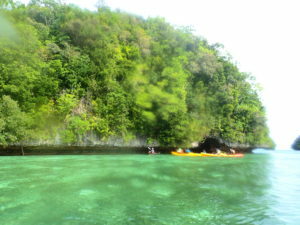 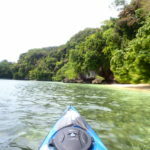 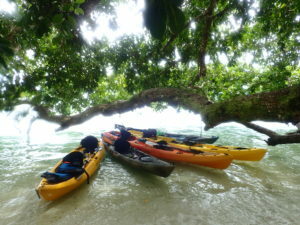 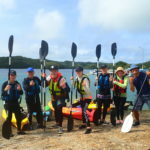 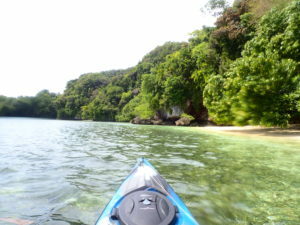 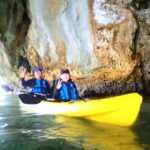 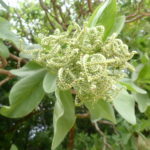 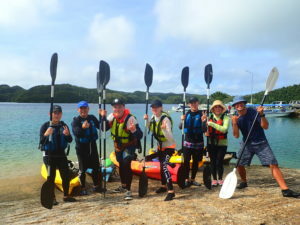 We went to kayaking at Nikkko Bay for one day trip.The wind was still strong but the weather become good. 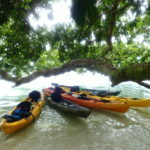 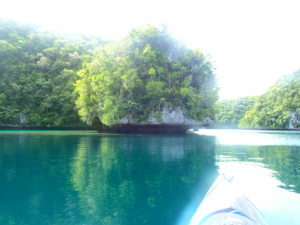 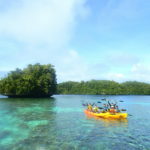 After paddling lesson on land, start kayaking.Rock Island’s shallow water is crystal clear and can see coral and fish from above the kayak. 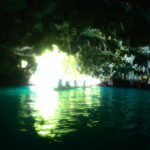 The first cave is an emerald cave.The light to insert into the entrance is fantastic and beautiful. 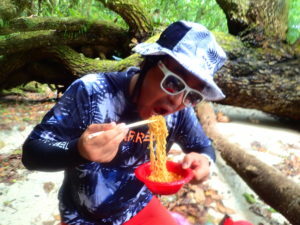 Today ‘s guests are Korean people so Mr.SOOK in Impac made Shin ramen. 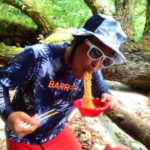 The taste is delicious, but it is very spicy for me. 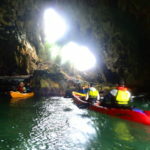 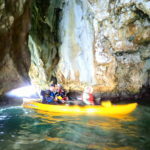 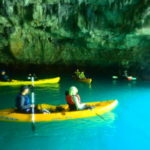 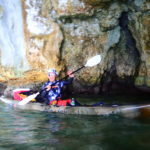 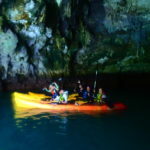 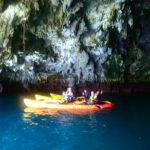 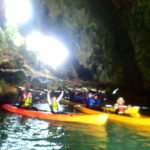 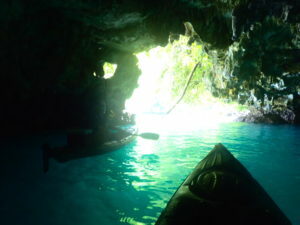 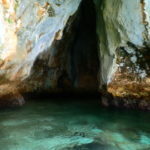 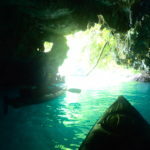 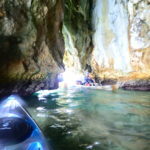 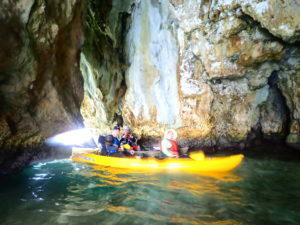 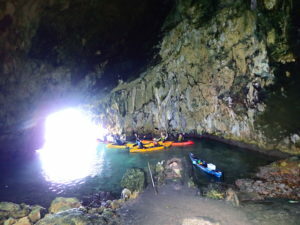 After lunch we also went to some caves.Can go through with a kayak, the name is Twin Cave. 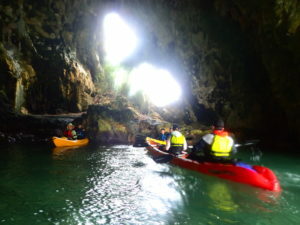 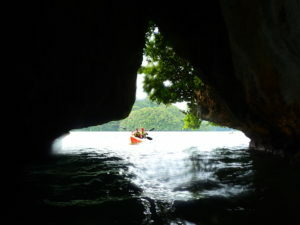 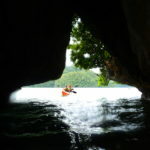 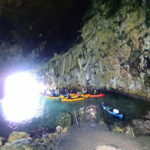 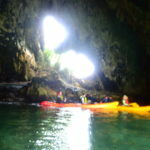 This is Sky Light Cave.Today the tide is fast and it was a hard time to enter the cave. 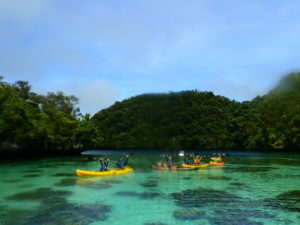 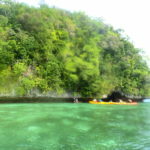 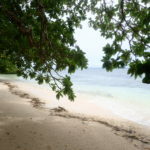 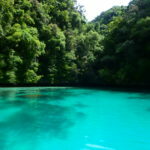 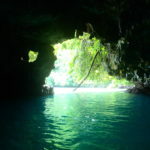 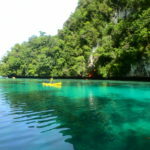 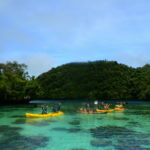 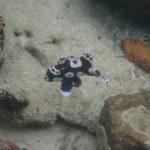 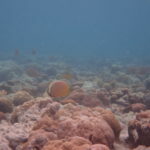 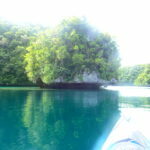 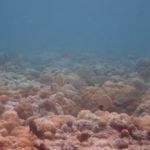 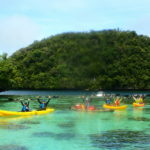 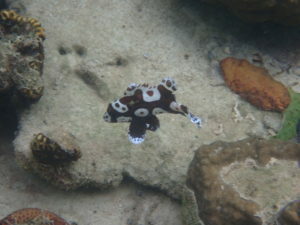 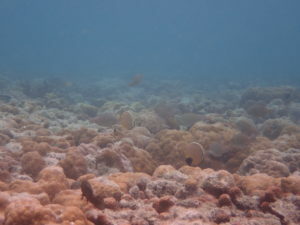 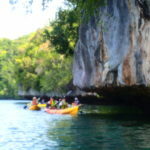 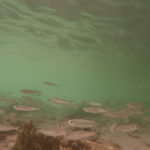 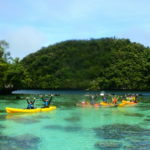 Snorkel with a calm cove.There is no wave, so it is a good cove that we can relax and enjoy underwater observation. 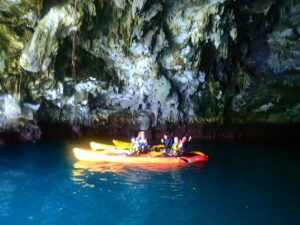 Mr.Lee family,Thank you for join my tour today.I hope see you in Palau again!